Looking to route cables and pull wires but don't want to buy an expensive product? 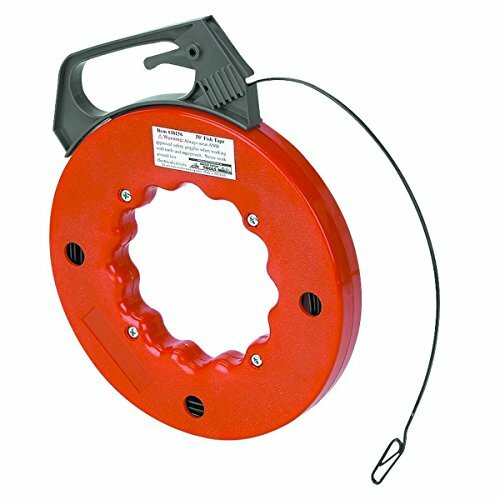 Katzco's heavy duty electrical wire snake reel is the solution for you. Tape is 1/8'' W x 1/16'' thick x 50 feet long. The case and handle are extremely durable and offer the maximum quality in shock and impact resistance. The inner ring design provides a smooth, consistent and comfortable surface for winding and rewinding and allows for more accurate use. The retractable fishing reel ensures it is tangle-free. 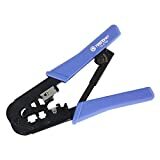 The handle gives you firm grip when pulling the wire. HIGH QUALITY - Katzco electrical fish tape reel is made of high-quality, heavy-duty plastic and contains a durable handle and a built in thumb-lock to hold wires in place wherever you want. The steel cable wire is made for a lifetime of use. DURABLE - Katzco's electrical snake reel has a high impact resistant case to ensure your electric reel never breaks while on the job. Electric cable is made of high quality, stiff steel to ensure non breakage and accurate use. CONVENIENT - This electrical fish tape reel is super convenient to bring anywhere. Its compact design allows for easy portability and can be stored in tool bag, tool belt, even a belt loop. 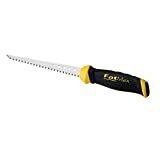 Perfect for construction workers, carpenters, DIY, and home remodeling. Makes wiring much easier due to the size. LOTS OF REACH - Katzco's electrical fish tape reel is 50 feet of electrical cable line puller so that you can have as much reach as possible. You can feed the wire through small cavities and crevices to ensure other wires are out of the way. Re-wiring has never been so easy! MULTI CABLE USE - Katzco electrical fish tape reel is ideal for using on stereo speaker wires, telephone lines, cable tv, internet cable, and surround sound speakers as well. Pulls cables through dry wall, conduit, insulation, pipe and more. Inside ring allows for maximum grip when pulling wire. Easily recoils and winds up after use for easy storage.